Kick your look into high gear wearing the Bridal Champion Pearlized Leather Sneakers from Keds x kate spade new york®. Comes with cotton and ribbon laces. 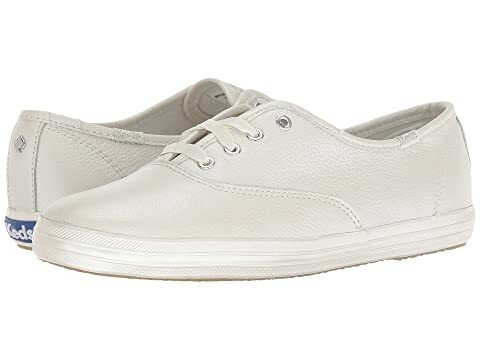 We can't currently find any similar items for the Bridal Champion Pearlized Leather by Keds x kate spade new york. Sorry! I’m always a 9 in keds but these were to large ,I exchanged for half size smaller and they are great !